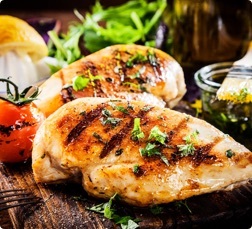 Our competitors have been trying for years to duplicate our Marinated Skinless /Boneless Chicken Breast, but we're proud to say they still haven't figured it out. 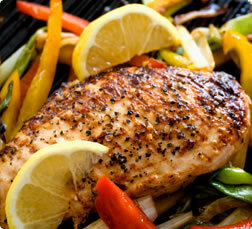 There's nothing more appetizing than a Colorado Choice chicken breast on your plate. 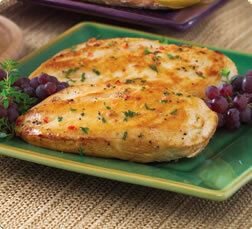 Our plain and marinated Skinless/Boneless Chicken Breasts have unbeatable taste and texture. The only question you'll have is which one to cook for dinner. It's true that you can never have too much of a good thing so we've added Chicken Cordon Blue to our standard gourmet poultry package to make a good deal even better. 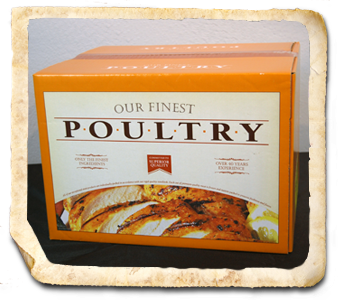 This variety package gives you gourmet poultry your entire family will love sitting down to. From chicken tenders to Chicken Cordon Bleu, this combo has something for everyone. © 2014 Colorado Choice Distributors, Inc. The persons or companies listed on this web site are not employees of Colorado Choice Distributors, Inc. (CCD), but are identified as Independent Distributors. Products are purchased and priced solely at the independents discretion, any warranty or implied warranty is between the independent wholesale distributor and their retail client. Independent distributors are responsible for safe storage of all products upon release and/or deliveries of product from CCD and/or its suppliers and hold CCD harmless from any and all claims.